The Invisalign system is the virtually invisible way to straighten your teeth and achieve the smile you’ve always wanted. Using advanced 3-D computer imaging technology, Invisalign depicts your complete treatment plan, from the initial position of your teeth to the final desired position. Then a series of clear aligners are custom made for your teeth — and your teeth only — to move them little by little. Each aligner is worn for about two weeks before being replaced by the next in the series until the final position of your teeth is achieved. Your Invisalign treatment time will be determined by your doctor based on your specific needs. More than 1,000,000 patients worldwide have been treated with Invisalign. The number of Invisalign smiles grows daily. 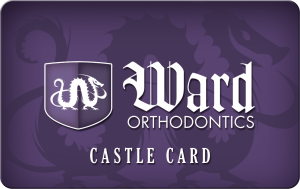 At your next appointment, Dr. Ward can help answer any questions you might have, and get you started on the smile you’ve always wanted.